Another question. Is there a difference in the input spline counts between an A340 and Aw4? I know a lot of the stuff interchanges. I'm just unsure if the TCs can be swapped. It's the outputs that are 23 spline. 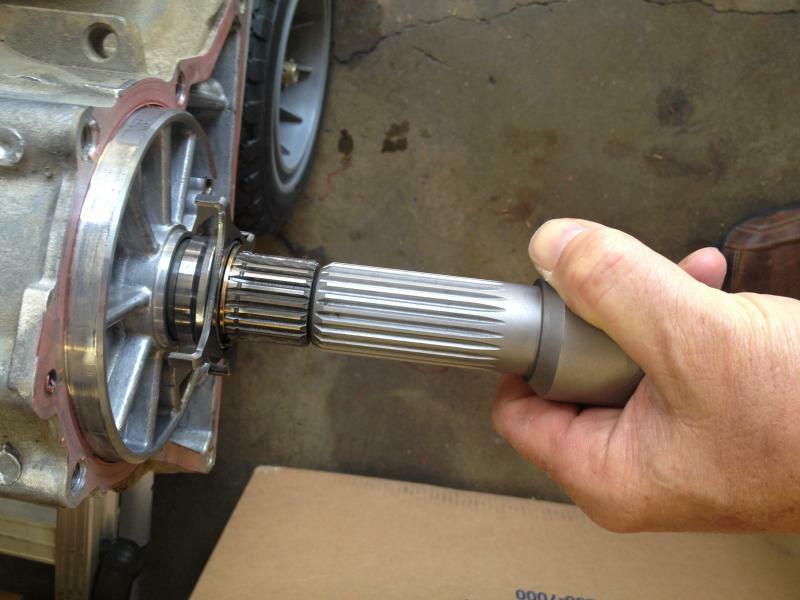 I have the AA adapter to use my Atlas and it comes with the spud shaft to change the toyota 23 to the Jeep 23 spl. The input on the AW4 is 26 from what I have read. Anyone know if the A340 is also 26? Depends on year of trans. I fit up a AW4 converter to my 92 A340f, but my RZ converter was a different spline count and didn't fit. So I used a 3VZ converter to fit the RZ motor and the RE A340f. Simple. John 3:16- He is the answer. I figure its going to be a bit of trial and error. I currently have an 02 A340F, 3.4 converter, 22re Bell Housing and Flex plate to my 85 22re. The 22re TC did not fit on my particular trans. I had to enlarge the holes on the 22re flexplate to align with the 3.4 TC. I just may rip all this out and run a 4l65 and change the inputs on my Atlas..
Last edited by Boomtacoma01; 04-12-2019 at 12:30 PM. Last edited by Edisonsteve; 04-11-2019 at 01:51 PM. Pretty much decided not to run the A340. Might as well mitigate any potential issue now rather than later. Pretty basic stuff, but my 500,000km 4runner with a 22re and an auto a340f was down for a month or so. When I started driving it again, the speedometer was working intermittently. I went for a drive, spent the day in the bush a long way from reception or civilization, and on my way home, I took off from a light and the trans was barely engaging, had to rev to 5000rpm to move, just to get off the road. Shut it down, restarted it, and it worked. Turns out the computer needs a speedo signal for the trans to work properly. My electric sender on the Tcase was still good, it was the dash cluster that had died. New cluster and it works properly again.